It becomes a functionality issue, as well, because in some cases the lower front teeth will actually bite into the roof of the mouth, causing pain and discomfort. An overbite is quite common among children and adults. Many patients want a solution that will help correct their overbite without the need for complex jaw surgery. While every situation is different (which is why we always require our patients to visit our office before any treatment can be recommended), braces are oftentimes the perfect solution for both children and adults to correct an overbite. An overbite is one type of malocclusion, which is a misalignment of the teeth. While some overbites are hereditary, it’s generally believed that overbites are primarily formed due to a malformed jaw that grew unevenly during childhood. This can be caused by a variety of activities, including thumb-sucking and bottle feeding for an extended period of time. In fact, even later in life certain habits can lead to an overbite. These habits typically involve chewing on things that aren’t meant to be chewed on (ice, fingernails, cigars, etc.). The good news is that if you catch an overbite early, it’s generally easier to treat because your child’s jaws are not fully developed at a young age. Just like any other health conditions, overbites can range from a slight forward positioning of the upper teeth, all the way to a severe overbite, known as a retrognathic. 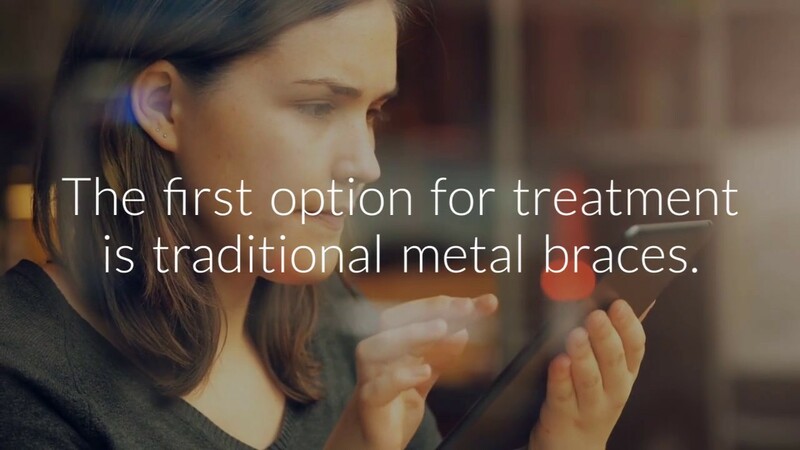 Different treatment may be recommended based on the severity of the overbite, but if your child is deemed to be a good candidate for braces after x-rays and impressions are taken, treatment can begin almost immediately with traditional metal braces. As mentioned earlier, every case is different, and it is important that your child be evaluated by an orthodontist to see if he or she is a good candidate for braces, and whether or it is the right treatment protocol based on individual circumstances. An overbite in adults can be a more challenging situation because adults have fully developed jaws and are oftentimes more resistant to traditional braces. One thing to remember is that braces is a short-term sacrifice for a long-term benefit. We understand that, as an adult, you don’t love the idea of wearing braces, but it could make a significant, positive impact for the rest of your life! If wearing traditional metal braces is absolutely not possible, then some overbites can be corrected with Invisalign, but Dr. Jordan will need to examine your situation to determine if it is a viable treatment option. Want to see if orthodontics can correct your overbite? If you live in or around the Alpharetta area and are looking for a solution to fix your overbite, Dr. Jordan may be able to help. He has helped both children and adults with a wide variety of malocclusion issues, including overbites, underbites, and crossbites. If you would like to see Dr. Jordan about you or your child’s overbite, give our office a call today or contact us right here on our website to schedule your overbite evaluation.